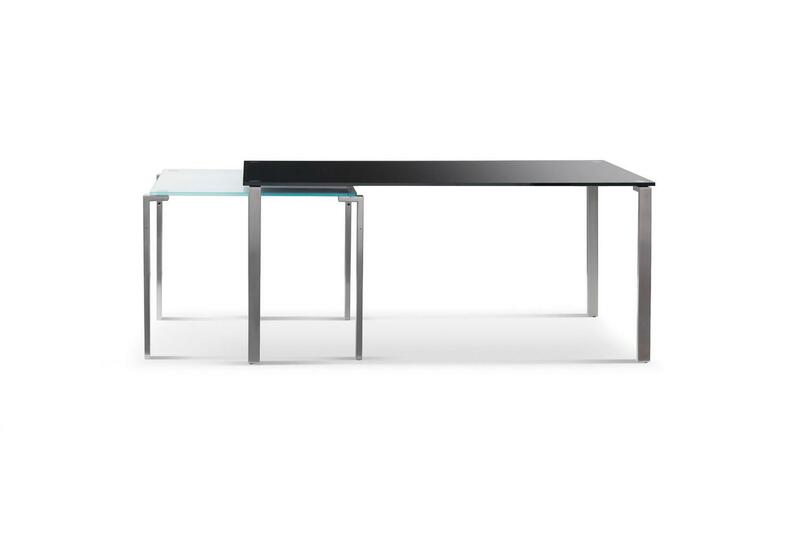 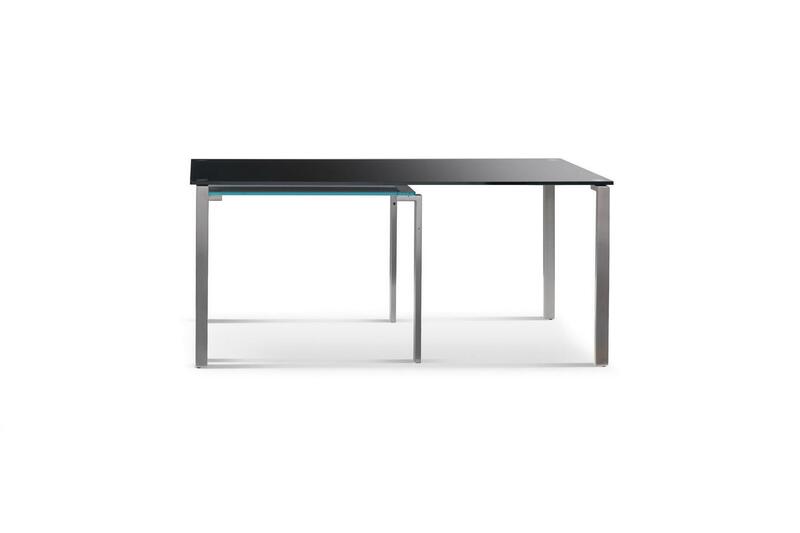 Dining tables and overlapping consoles in 15 mm thick tempered glass and stainless steel legs. 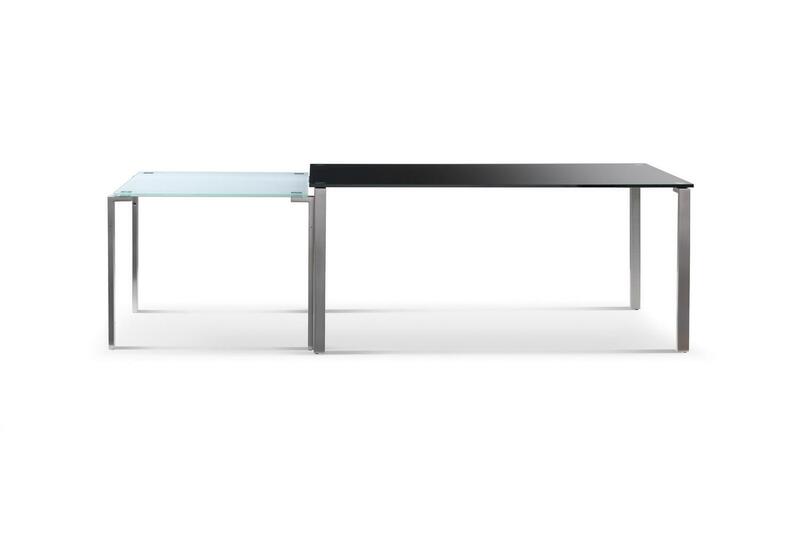 Tops in transparent float or extra clear glass, or in painted or satined extra clear glass. 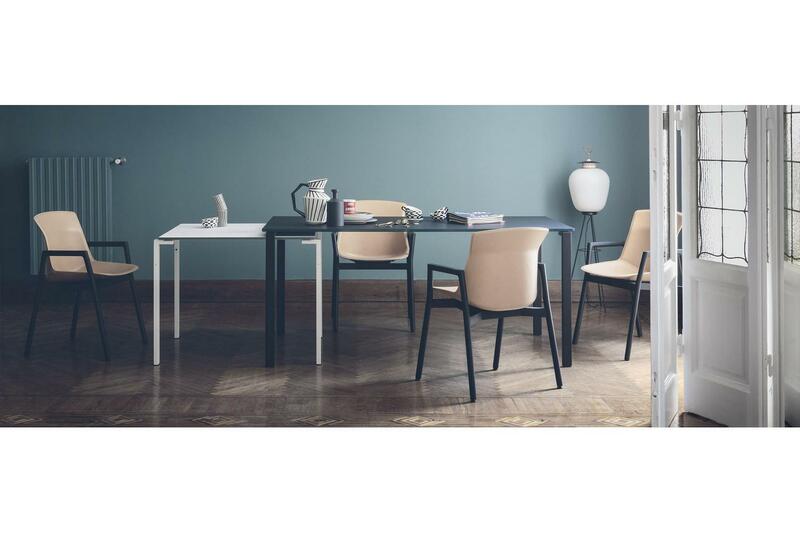 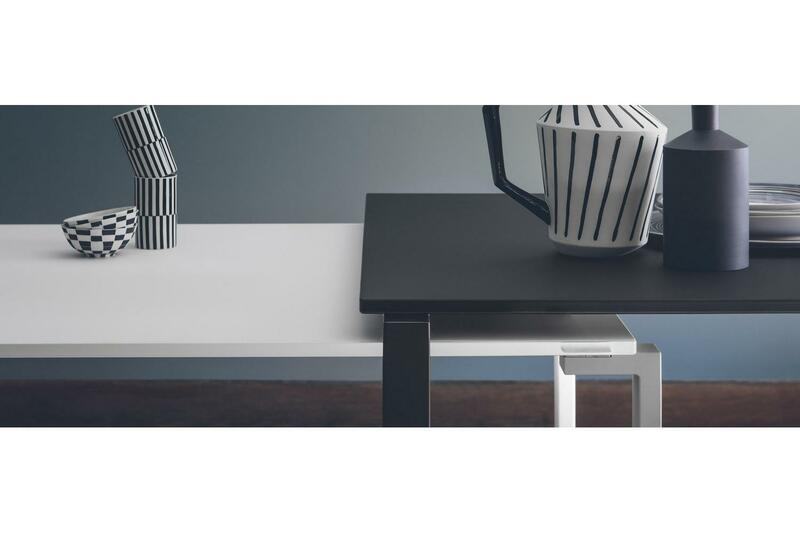 A monochrome version with tempered glass 15 mm thick top surface in soft touch material matte black or white colour and painted legs in the same colour.